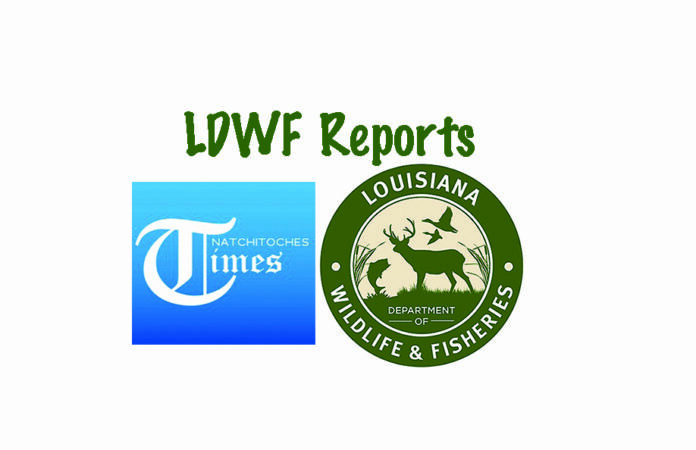 Louisiana Department of Wildlife and Fisheries enforcement agents arrested a man and woman for alleged drug violations on May 5 in Lafayette Parish. Agents arrested Sean N. Covington, 43, of Rayne, for possession of schedule II narcotics, possession of schedule IV narcotics, gross littering, a traffic bench warrant for expired plate and driving under suspension, a misdemeanor bench warrant for theft, and a felony bench warrant for theft over $750 to under $5000. Agents also arrested Amanda D. Bergeron, 31, of Rayne, for a felony fugitive warrant of theft over $750 to under $5000. Agents were notified about a littering site. While investigating the litter pile, agents found information that linked Covington as the suspected dumper. Agents were able to perform a traffic stop on Covington and it was confirmed that Covington had three warrants for his arrest in Lafayette Parish. While conducting a pat down of Covington, the agents found a bottle of pills containing 37 Lortabs and 36 Xanex. Upon running the information on Bergeron, who was a passenger in the vehicle, agents learned that Bergeron was a fugitive from Lafayette Parish and had an active warrant for her arrest. Illegal possession of a schedule II and schedule IV drug each brings one to five years in jail and up to a $5,000 fine for each offense. Gross littering carries up to a $900 fine and 16 hours of community service to be served in a litter abatement program. Agents booked Covington and Bergeron into the Lafayette Parish Jail.